Yesterday I posted Jaydee’s CWB blocks. We inadvertently posted her block without the embroidery. 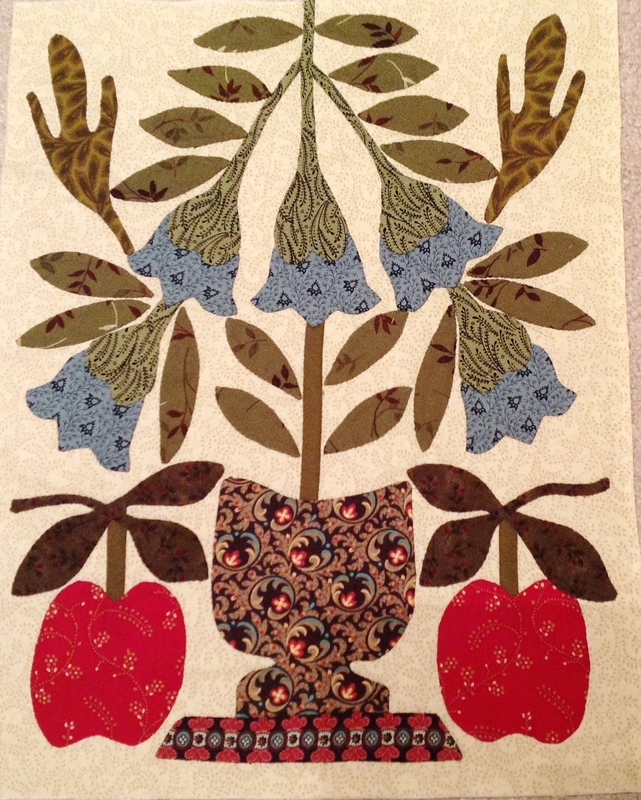 I am posting both pictures so you can see the difference the embellishment makes on a block. Jaydee’s original Block 1 without embroidery! 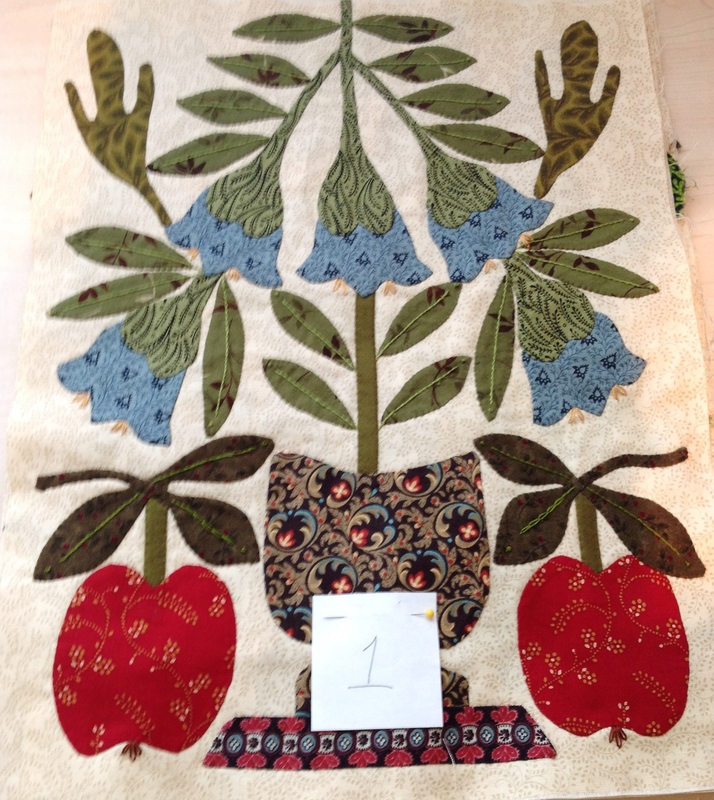 I like the way that the embroidery makes the leaves look like they are attached to the stems! Great job Jaydee – lots of work doing this!